A joint venture between Griffiths and Northern-Ireland head-quartered Farrans has been named among the winners of a major new six-year Highways England regional framework. The partnership is among the 13 new Delivery Integration Partners that will help to design, develop and construct highways projects across England from 2019 through to 2024. The joint venture has been chosen as one of two contractors for Lot 1 (with a value of £200 million) of the framework, which covers the Southwest and Midlands area. It will be supported by professional services firm WYG as its design partner. Anthony Morgan, managing director, Griffiths, said: “Securing a place on Highways England’s Regional Delivery Partnership framework in our joint venture with Farrans will see us working on schemes that connect with and actively involve local communities. As part of Highways England’s new industry-leading approach, known as the ‘Routes to Market Regional Delivery Partnership’, companies will be incentivised to improve safety, reduce congestion on the network and deliver environmental benefits. Previously procured on a scheme by scheme basis, the new model has been designed to provide a more secure pipeline of work for contractors, allowing improved project planning and confidence to invest in jobs and training. 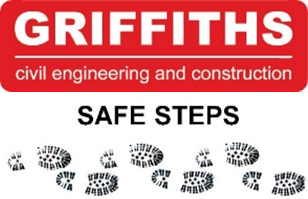 Griffiths was acquired by Tarmac in January 2018 and has a strong track record of successfully delivering major projects, including the A483 Newtown Bypass, South Bristol Link, Llanaber/Barmouth Sea Defences and numerous schemes on the M4. Farrans Construction is an established building and civil engineering contractor with operational interests throughout the UK, Ireland and Europe, which is committed to the values of health and safety, quality and the environment. The company’s recent infrastructure projects include Northern Spire in Sunderland, A6 in Northern Ireland and M80 in Scotland.